When Isabel Moore's father dies, she finds herself, at the age of thirty, suddenly freed from eleven years of uninterrupted care for a helpless man. With all the patterns of her life suddenly rendered meaningless, she turns to childhood friends for support, gets a job, and becomes involved with two very different men. But just as her future begins to emerge, her past throws up a daunting challenge. 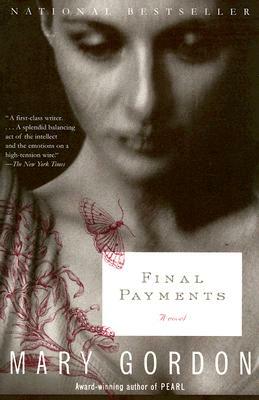 A moving story of self-reinvention, Final Payments is a timeless exploration of the nature of friendship, desire, guilt, and love. Mary Gordon is the author of the novels Spending, The Company of Women, The Rest of Life, Final Payments, and The Other Side, as well as the memoir The Shadow Man. She has received a Lila Wallace--Reader's Digest Award, a Guggenheim Fellowship, and the 1997 O. Henry Award for best story. She teaches at Barnard College and lives in New York City.